Keep your four-legged friends safe from ticks, fleas and irritating bug bites with natural flea and tick drops from Arava. 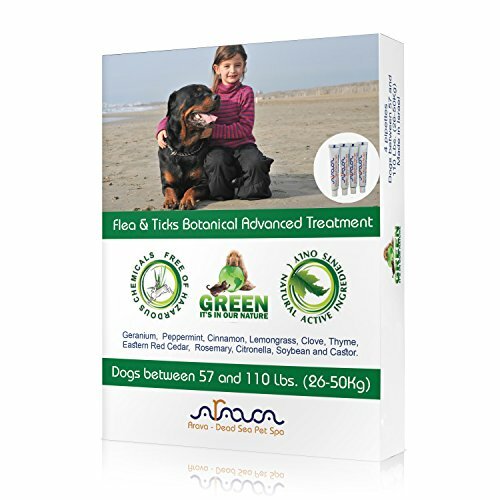 There's no doubt that dogs are man's best friend, so as their best friend you should protect their skin and coat from ticks, fleas and bug bites with an all-natural solution made from botanical ingredients-Arava Flea & Tick Advanced Botanical Treatment for Dogs. 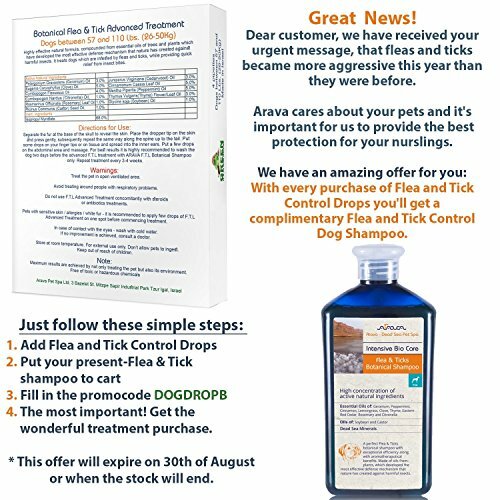 Arava flea and tick drops are a non-toxic, non-hazardous and environmentally- friendly solution that are designed to repel nearly 500 different species of insects, including ticks, fleas, chiggers, lice and more! Produced with natural botanical ingredients, our flea treatment for dogs works to control pests far healthier than your standard flea combs, collars, hazardous Chemicals drops and sprays or expensive medicines. 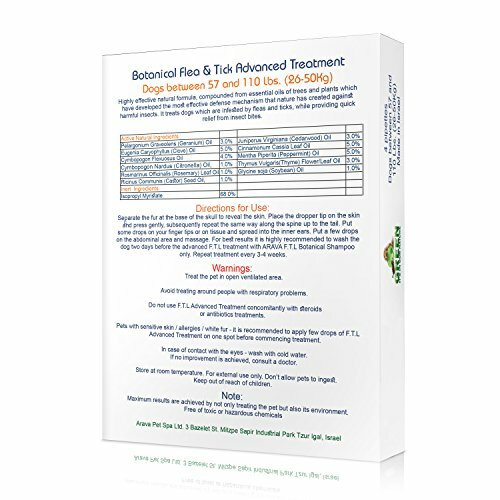 Keep your dog safe from fleas, ticks and bites with an all-natural flea drop solution made with healthy botanical ingredients.